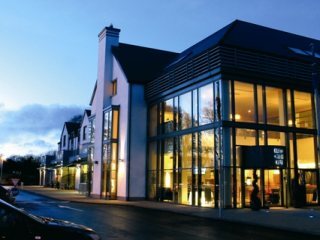 Galway East Tourism - Raheen Woods Hotel in East Galway, West of Ireland.Galway East Tourism - Raheen Woods Hotel in East Galway, West of Ireland. This modern hotel offers the visitor a homely feel complete with luxury surroundings. Dine in our "Blue Bayou Restaurant", have a drink in "McHales Bar" or relax in our "Tranquility Leisure & Spa". The ideal hotel for a family holiday, a business conference or your wedding day.